Microsoft for the first time since Windows 8 has updated its Blue Screen of Death (BSOD) interface that shows up when the operating system crashes due to a critical error. The updated screen now shows QR codes to help technicians identify error codes in the blue screens. It is worth mentioning that until now, the Windows ‘stop code’ stayed visible only for a few seconds during a Blue Screen, making it difficult to note, research, and fix the specific. However, now that’s not the case. Now users can scan the QR code from their handsets to find an encoded URL with specific troubleshooting information for the problem and related support articles. Nonetheless, the sad ASCII smiley that was introduced with Windows 8 will still be there on the blue screen. Prior to Windows 8,Microsoft used to display more detailed information about the crash. These QR codes were found by testers in the latest preview version of Windows 10, so it is yet to reach all the users. 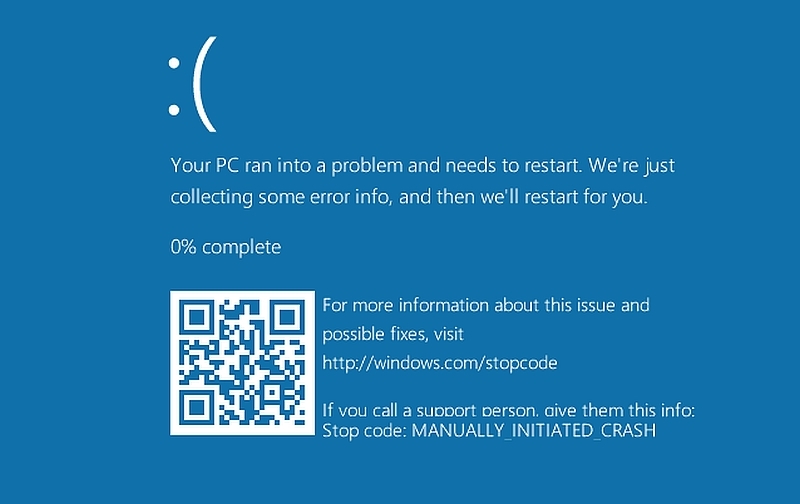 The QR codes in the Blue Screen of Death will be debuting this summer as a part of theWindows 10 Anniversary Update. Microsoft last week released a preview of Windows 10, build 14316, for Insiders on Fast Ring, with a range of features including cross-device Cortana, and a new Universal Skype app. Some of the features in Windows 10 build 14316 include low battery notifications, and cross-device Cortana sync. With the new update, Cortana will be able to work across different platforms in a much more efficient way. The build also brings with it Skype Universal Windows Platform Preview app. The Skype UWP Preview app comes with several of Skype’s basic functionalities. Along with it, Microsoft is also bringing some improvements to Action Center, allowing users to manage the notification settings for individual apps.